At Google, machine learning comes in different shapes and sizes. We use it in many of our products to make them securer, faster and smarter — it’s what allows you to use your voice to search for information, to translate websites from one language to another, or to search for “hugs” in your Google Photos library. And, as of today, it can help you create virtual fashion designs. 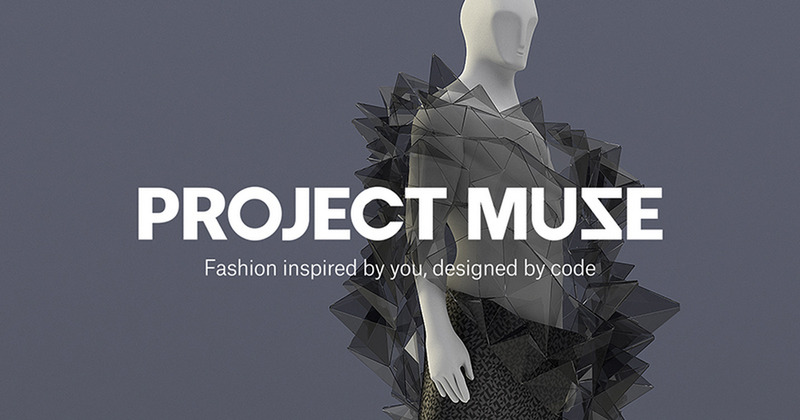 Project Muze, an experiment from online fashion platform Zalando and Google, explores the creative use of machine learning in the field of fashion. It’s like being the muse for your own clothing — your personality and interests become the inspiration for unique designs. Project Muze is based on Google’s open source platform TensorFlow. Together with Zalando and the UK-based production company Stinkdigital we developed a predictive “design engine.” It consists of two parts: a neural network — an algorithm modelled on the human brain — and a set of aesthetic parameters. We wanted to give the neural network the ability to make creative decisions, so we showed it the color, texture and style preferences of over 600 fashion experts. Over time, it learned to connect those preferences back to other people with similar interests. Then we used a set of aesthetic parameters from the Google Fashion Trends Report and Zalando’s deep knowledge of fashion and trends to refine the designs and make sure they’re fashion forward. Project Muze debuts this week in Berlin at the trend show Bread&Butter. Attendees will have the opportunity to test the experiment on both tablets and big screens. And designers from Zalando’s zLabels will showcase three Project Muze designs — inspired by fashion bloggers Wana Limar, Anthony Bogdan and Sofia Tsakiridou — that they’ve transformed into real-life clothes. But you don’t have to visit Berlin to try it for yourself — just visit the Project Muzewebsite, answer a few personality questions, do a little drawing and watch what happens.